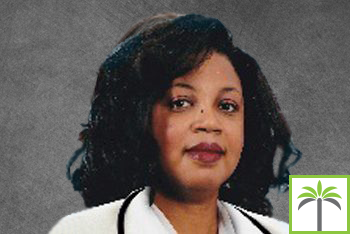 Dr. Majorie Lewis has been board certified in family medicine since 1999. She graduated from the University Of Medicine And Dentistry Of New Jersey-Robert Wood Johnson Hospital and has practiced medicine in South Florida since 1999. She prides herself on being a beloved team member and enjoys working with her highly valued group of medical assistants. She enjoys a relaxed style of medical practice. Always optimistic and hopeful, she looks for the best in everyone she meets. She firmly believes that right attitude and right believing leads to a healthy, happy and fulfilled life. Some of her interests are afterschool tutoring, creative writing and nature photography. She looks forward to helping children and adults attain and maintain a healthy, productive and wonderful life.